Comments: A clump forming plant of strap-like, arching, medium green leaves which are variegated with creamy yellow margins. 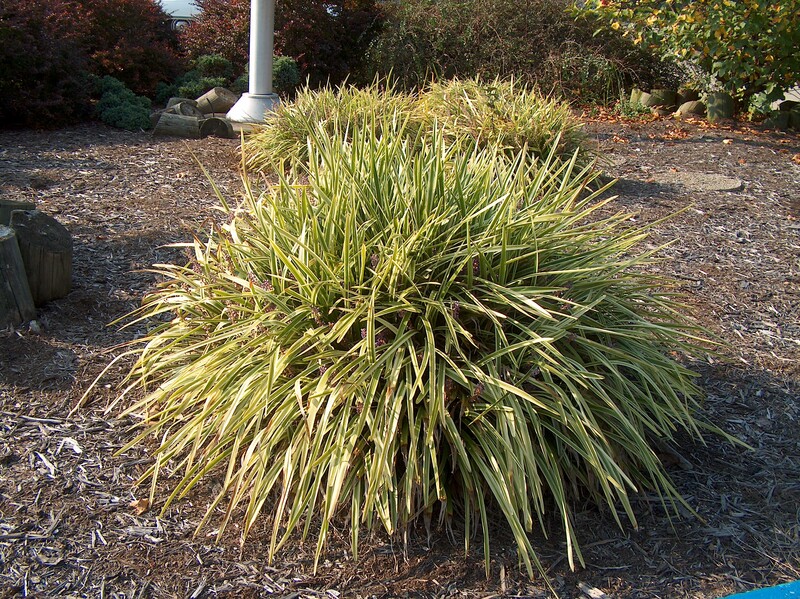 Used as a ground cover, in borders, as edging and in containers. Has lavender flowers. Prune in late winter well before new growth starts. Subject to leaf and crown rot as well as anthracnose.